Steelers 2018 Quarterback Draft Needs – Still Too Early to Draft Roethlisberger’s Replacement? A year ago Ben Roethlisberger’s utterance of the “R” word left Steelers Nation on pins and needles. Although Roethlisberger confirmed he’d return for 2017, he’d unmasked the elephant in the room. Even so, the conclusion here was that it was too early to draft Roethlisberger’s replacement. The wiser option was to draft players who could help Ben bring home Lombardi Number 7. 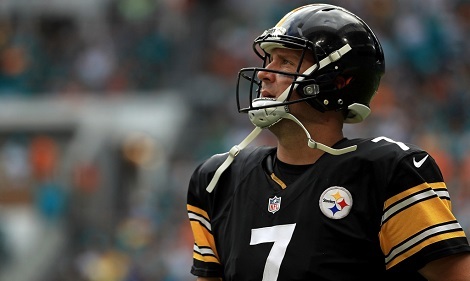 Fast forward to January 2018: Following another playoff disappointment, Ben Roethlisberger changes his tune and says he wants to play 2-3 more years. So the calculus on drafting Ben Roethlisberger’s replacement in the 2018 NFL Draft shouldn’t change…. Right? Well, let’s see. At age 36 and after 14 NFL seasons, Ben Roethlisberger finally commands respect as one of the NFL’s premier signal callers. The days when critics derided Ben as a “game manager” who depended on a strong defense and robust rushing attack to win are over. Neither is Roethlisberger written off as a school yard improviser. No, with 200 games, 198 starts and 135 wins and rings from Super Bowl XL and Super Bowl XLIII, people finally, if grudgingly respect Ben Roethlisberger as one of the best. Ironically, this belated recognition arrives despite Ben Roethlisberger’s agonizingly slow start in 2017. Martavis Bryant and Le’Veon Bell also took their time to find their rhythm, but Antonio Brown pulled down some wild throws to make Roethlisberger look better than he had any right to look early on. 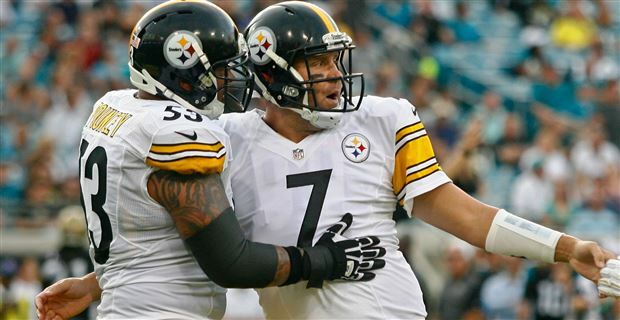 Did Ben Roethlisberger take half a season to get his arm into shape as Steel City Insider’s Jim Wexell suggests? Did Randy Fichtner’s move from the booth to the sidelines give Ben the boost he needed? We’ll never know. But what we do know is that Ben Roethlisberger’s passer rating for the first eight games of 2017 was 82.7, just shy of his career worst 75.1 mark of 2006, but during the final 8 games of 2017 Ben Roethlisberger posted a 105.3 passer rating, the very best of his career. While a certain segment of Steelers Nation will never accept it, Landry Jones has developed into a quality NFL backup quarterback. Landry Jones may have been as lost as he looked in 2013 and 2014,but something clicked for the Oklahoma signal caller in the 2015 preseason when the Steelers gave 3 separate players shots at unseating Jones from the 3rd quarterback slot. As fate would have it, an injury to Mike Vick turned out to be a lucky break for the Steelers, as Landry Jones closed two wins against the Cardinals and the Raiders. Since then Jones has started in a losing effort against the Patriots in 2016 and in season finales against Cleveland in 2016 and 2017. Landry Jones won both contests, including a come from behind win in 2016 and an 85% completed passing effort in 2017. Behind Landry Jones the Steelers have Joshua Dobbs, whom they took in the 4th round of the 2017 NFL Draft. 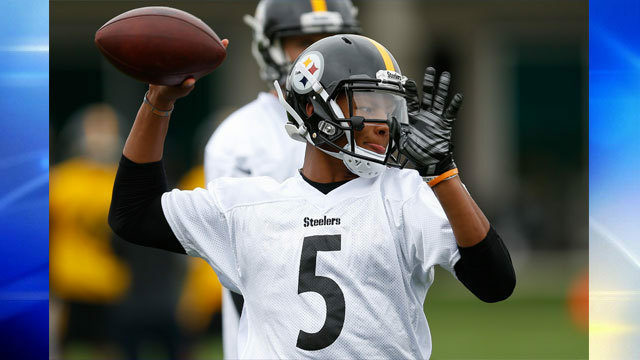 A rocket scientist, Joshua Dobbs looked about as good as can be expected in preseason and apparently takes his preparation seriously. Some mass psychology professor should study how Steelers fans react to Ben Roethlisberger news. Last year, many if not most fans remained convinced that 2017 would be Ben Roethlisberger’s last season. Now, suddenly, after Roethlisberger says he plans to play for 2-3 more seasons, most conclude that he’ll do just that and perhaps even a few more. They also conveniently forget Roethlisberger’s early 2017 struggles and assume that he’ll l continue to play championship caliber football as long as he desires. Let’s hope he does, but Ben Roethlisberger is 36 and all 36 years old NFL players are taking it year-by-year. A year ago the smartest thing the Steelers could do was to draft talent to help Ben Roethlisberger win in 2017. T.J. Watt and JuJu Smith-Schuster fit that bill. And that remains a wise option today. But dynamics differ a bit in 2018. Unlike last year, the 2018 NFL Draft is said offer a good crop of quarterbacks. And Ben Roethlisberger IS a year older. Steelers fans know too well that in 1983 Terry Bradshaw planned to play for 5 more years and Pittsburgh passed on Dan Marino and drafted Gabe Rivera. By all means, the Steelers focus in the 2018 NFL Draft should on positions other than quarterback. But if your quarterback is 36 years old and if a franchise quarterback falls to you, you draft the quarterback. 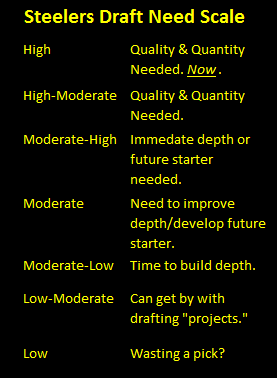 Therefore the Steelers 2018 quarterback draft need must be considered Moderate. Steelers Activate Sammie Coates from PUP – Now, Can Coates Fit in Pittsburgh? The Steelers activated Sammie Coates from the PUP this week, allowing him to practice with the team during training camp for the first time this summer. Suffice it’s been a long strange trip for Sammie Coates. It was just two years ago that the Steelers turned heads during the 2015 NFL Draft when the drafted Sammie Coates in the 3rd round. Using such a high value pick on a wide receiver struck the fan base as odd, given that they had Darrius Heyward-Bey, Martavis Bryant had shown as a rookie Markus Wheaton had bounced back from injury marred rookies season and Antonio Brown was, well, Antonio Brown. Of course Martavis Bryant’s first suspension explained a lot. Nonetheless, during the first half of the season, Sammie Coates was best known for a failed fourth down hookup with Mike Vick during the Steelers 2015 loss to the Ravens. You didn’t see much after that to the point that when reporters touted Sammie Coates potential heading into the Steelers AFC Divisional Playoff game against the Broncos, this site begged to differ, arguing that DHB was the man to watch. Fortunately, I was wrong, Sammie Coates lived up to the hype come up with two strong catches in the playoff loss. When news of Martavis Bryant’s next suspension broke, all eyes turned to Sammie Coates. While no one went so far as to say that Coates could make fans forget about Martavis Bryant, many did expect him to emerge as Ben Roethlisberger’s number 2 target. Just past the quarterpost of the 2016 season, it looked like Coates was about to become that man. In what looked to be his breakout game against the Jets, Coates caught 6 passes for 139 yards and two touchdowns. He also injured his hand in that game, and then things got strange. First there were conflicting reports over how many stitches Coates needed. Then there was talk of broken fingers. 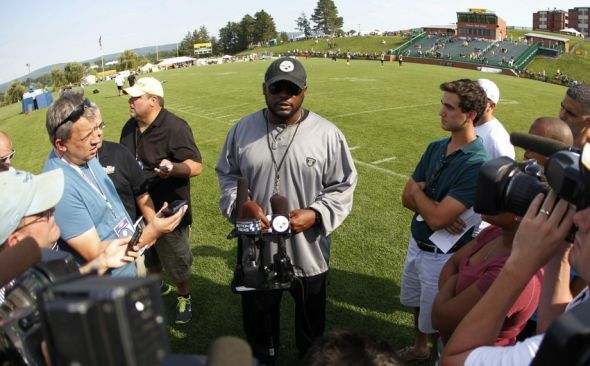 Nonetheless, Mike Tomlin continued to play him on specials teams. Beat writers started to suggest that injuries weren’t the only issues dogging Coates. Regardless of the reason, Sammie Coates only caught two more passes for 14 yards during the rest of the season. 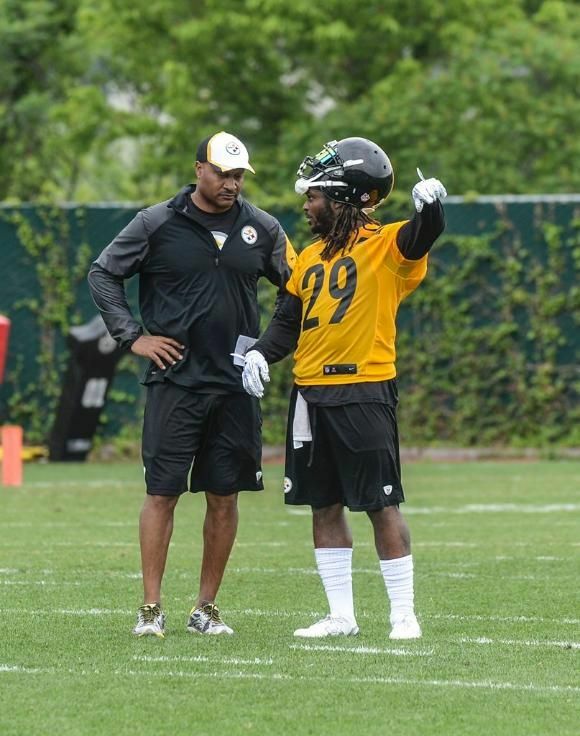 With and Eli Rogers, Cobi Hamilton, Demarcus Ayers and an injured Darrius Heyward-Bey the only downfield options opposite Antonio Brown, Todd Haley and Mike Tomlin were forced to lean heavily on Le’Veon Bell. That strategy served the Steelers well until the AFC Championship game, which not ironically saw the Steelers first possession end on a bomb that Sammie Coates dropped that, had he caught it, could have dramatically altered the dynamic of the game. Kevin Colbert and Mike Tomlin opted not to take any chances, drafting JuJu Smith-Schuster in the 2nd round of the 2017 NFL Draft. Sammie Coates knee surgery couldn’t have come at a worse time. Antonio Brown, Martavis Bryant, and JuJu Smith-Schuster are roster locks, and one would have to figure that either Justin Hunter and/or Eli Rogers is guaranteed to make the team. That leaves Coates vying for one roster spot with Hunter/Rogers, Darrius Heyward-Bey, Hamilton, and Ayers. It says here that Sammie Coates is far more talented than any of those players. But it’s also true that all of them were far more productive down the stretch last season than Coates, injuries or no. His performance in the Steelers final three preseason games will show whether Sammie Coates really fits in Pittsburgh. Sometimes, things just don’t work out. Such is the case with Ladarius Green and the Pittsburgh Steelers. 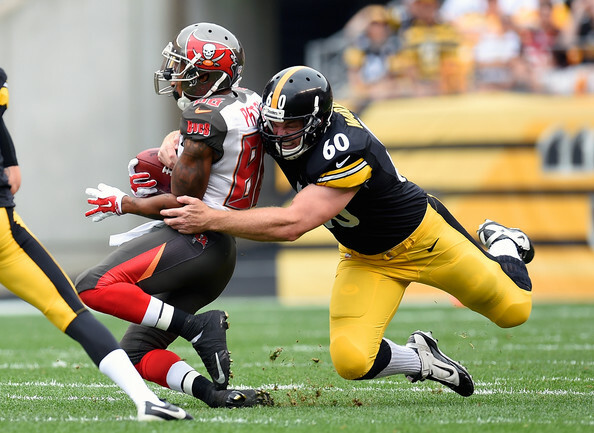 The Steelers 2016 off season began with the retirement of Heath Miller. Faced with the task of replacing Heath Miller’s legendary dependability in the passing game, the Steelers acted swiftly by signing Ladarius Green on the first day of free agency. Even after Martavis Bryant’s suspension, Ladarius Green promised to give the Steelers a viable weapon to compensate. Then Green sat out OTA’s due to his ankle. Then he began training camp on the PUP. Then conflicting report arose detailing Ladarius Green’s ongoing concussion symptoms. As fate would have it, Ladarius Green didn’t see the field until mid-season, but he made almost an immediate impact. Then he suffered another concussion against Cincinnati and his season was over. And now we know, so was his career with the Steelers. Ladarius Green’s Pittsburgh Steelers career consisted of 6 games, 2 starts, 18 catches for 304 yards and one touchdown. 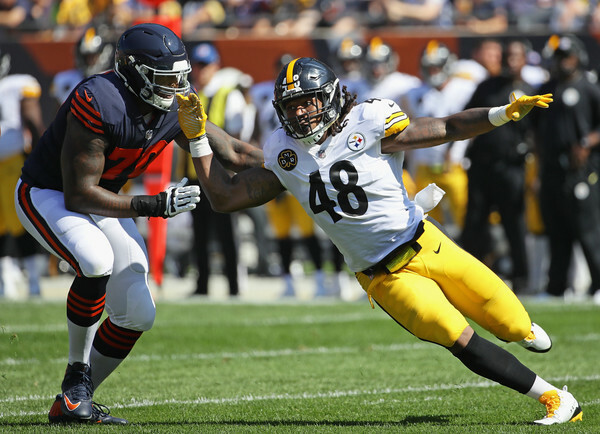 With Bryant out and Markus Wheaton and Darrius Heyward-Bey ailing, the Steelers offense struggled to find a receiver capable of taking heat off of Antonio Brown. By the time the Steelers late season run was in full swing, it looked like Ladarius Green’s emergence might alter that equation. 18 catches for 304 yards might not sound like much, but in the Steelers Thanksgiving win over the Colts, their win over the Giants and their road victory over the Bengals, Ladarius Green proved to be a difference making, flipping the field at critical moments in all three games. Just when it seemed like the Steelers might have found the vertical threat that neither Eli Rogers, nor Sammie Coates, nor Cobi Hamilton could provide, Ladarius Green suffered another concussion as he went over the middle to make another clutch catch on the road against the Bengals. 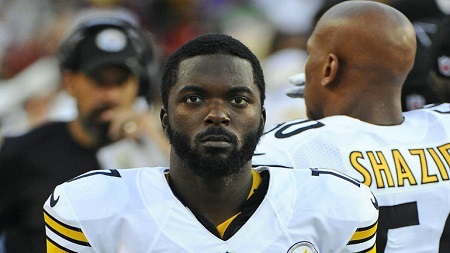 Fans speculated that the Steelers might part ways with their tight end. This site suggested that the Steelers day one signing of Davidy Johnson suggested the Steelers were questioning Green’s return. Yet, Kevin Colbert affirmed that Ladarius Green was in the Steelers plans for 2017. The Steelers deed of not to pick a tight end during the 2017 NFL Draft seemed to confirm their words. Clearly the calculus has changed. With Ladarius Green gone, all eyes turn towards Jesse James who now becomes the incumbent starter at tight end. Jesse James was the Steelers 5th round draft pick in the 2015 NFL Draft and it says here that since picking him, Jesse James has done everything the Steelers have asked him today. While 2016 certainly didn’t represent a breakout season for James, he did come up with clutch catches on any number of occasions, including the Steelers Christmas Comeback over the Ravens. Behind James, the Steelers have David Johnson who’ll work in as a number 2 tight end, and Xavier Grimble playing as the number 3. Undrafted rookie free agent Scott Orndoff is also expected to push for a roster spot.